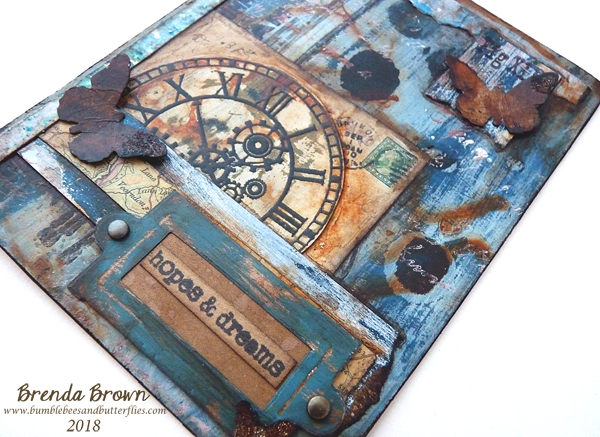 Just sharing a small panel made for the lovely Lin Shields as part of the 'Let's Be Creative' swap that Brigitte challenged us with in April. I didn't have a huge amount of time with Mixology, deadlines and wedding invitations to make but I did raid the bits box and collage box to put this together. 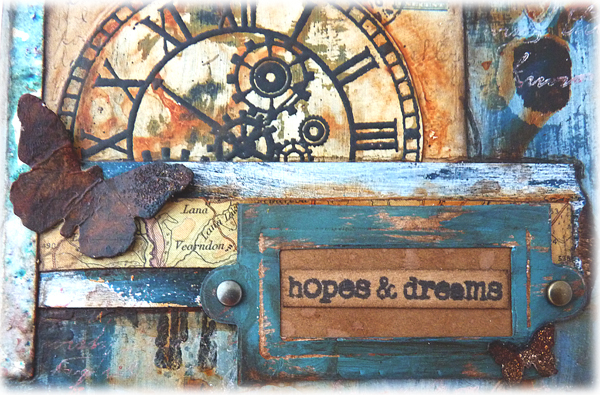 A embossed Andy Skinner clock onto some grungy background I made and a label plate with some words from a workshop project I did some while ago. 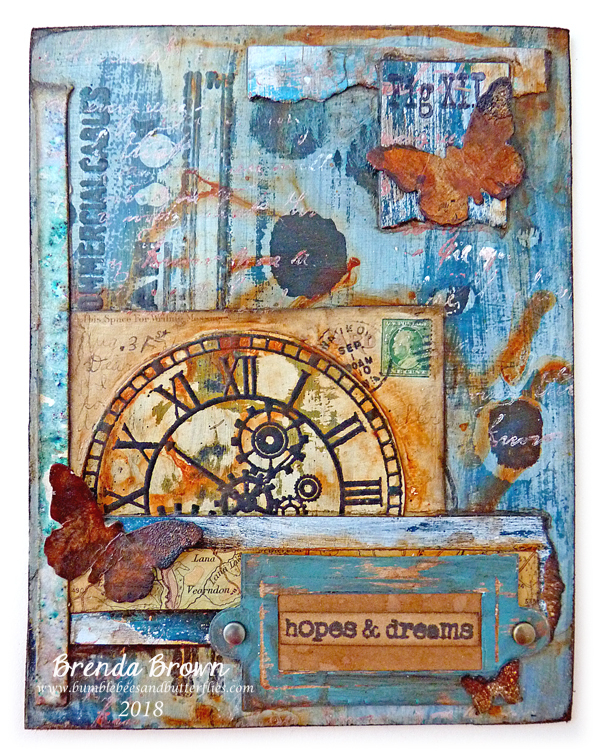 .... and some collage elements given rusty edges to blend them all in in. 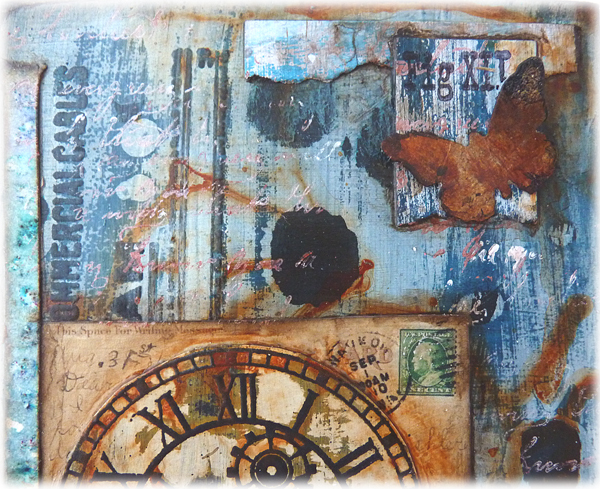 This is definitely grungy collage and I think it went together quite well and Lin liked - phew. 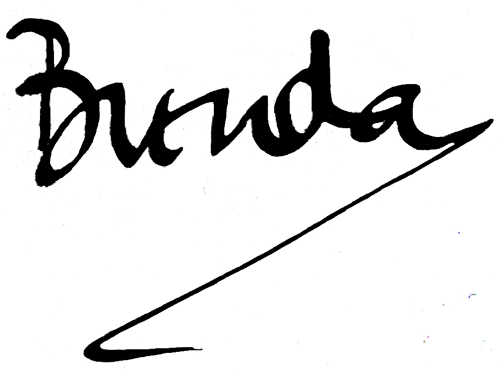 A fabulous piece Brenda, I'm sure she would have loved this. Beautiful! I am loving the sepia and browns. A wonderful combination.